Weighty Matters: The food-pocalypse is nigh. Now I'm not a theologian, but I'm pretty sure this is an official sign of the apocalypse. 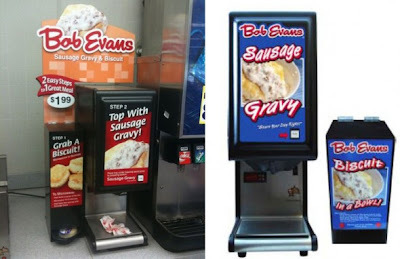 It's the Bob Evans automated gravy dispenser. 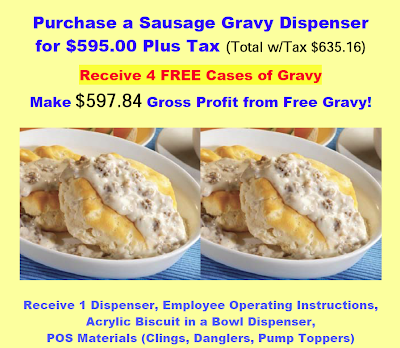 According to the advertisement, buy one gravy dispenser for the low, low price of $595 and receive 4 FREE cases of gravy! So my question to the readers out there, and no it's not the obvious who in their right minds would want to eat this, my question is what's up with the vomity gravy? I mean that's the food stylist's shot. If that's the best it can look, can you imagine what actually comes out of one of those machines? 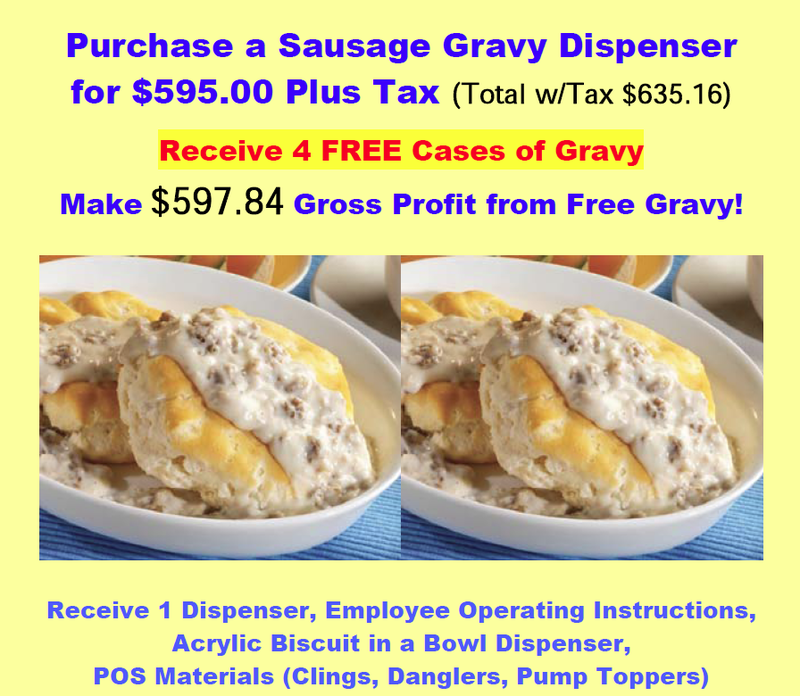 "Gross profit from free gravy"